Product #18082 | SKU 055457 | 0.0 (no ratings yet) Thanks for your rating! Use with Lavalier microphones for extra protection from wind noise. The Rycote - Black Lavalier Windjammer is designed for use with the Zoom IQ5 microphone. The Lavalier Windjammer is the most heavy-duty of Rycote's subminiature Lavalier microphone products. 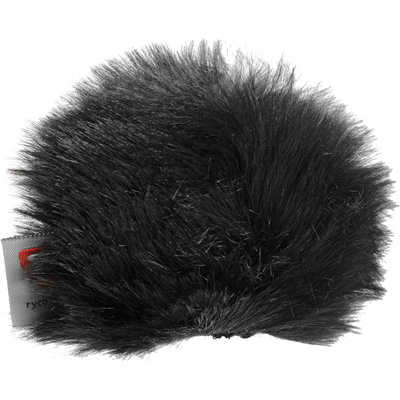 It is suitable for use in windy outdoor interview conditions, and greatly reduces microphone noise and also provides effective wind protection.